Small to medium size hospice organizations, with an average daily census up to 200 patients, who are looking for a hospice-specific solution for better workflow efficiencies and enforced compliance. Optima Hospice Reviews Recently Reviewed! 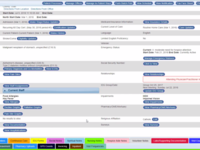 Pros: The software tracks the many pieces required by multidisciplinary patient care. 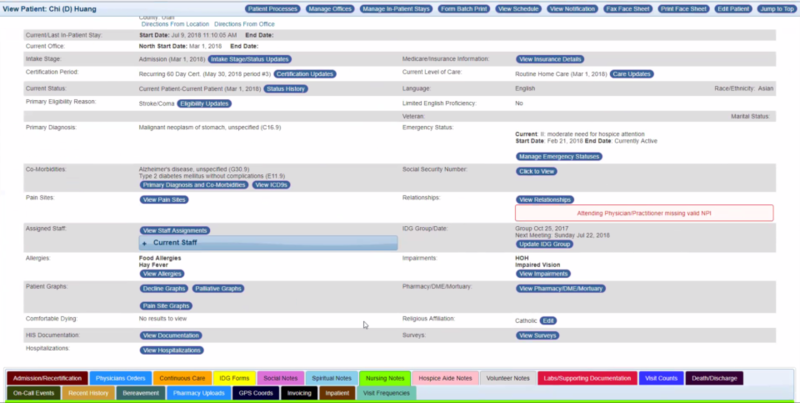 Excellent dashboards keep administration apprised of what pieces are due, and make finding what you need simple and straight-forward. Finding any piece of the complex patient care puzzle is a breeze. The chart is laid out like any paper chart, and demographics, patient information, every disicipline form, every lab, etc... are all right at your fingertips, only a click or two away. Because it is web-based, there are no requirements for in-house servers, and the information is available from anywhere you have cell or internet access. It can be viewed, or documented, by phone, tablet or computer. There are no specific equipment requirements. Information can be printed, faxed or emailed from within the system (fax requires a very small fee monthly using a service such as RingCentral) to facilities, providers, pharmacies, etc.... Orders for treatments, medications, etc. are easy to update, print, or review. 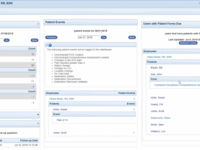 The patient's care plan is a "living" careplan, and revised from within the discipline notes during each visit as the patient's needs changes. Cons: No interface with a pharmacy benefit manager at this time, so all medications, orders, changes, etc... do have to be entered separately into the pharmacy program. Because the careplan is revised from within the discipline notes, and defaults in from the previous notes all charting has to be done sequentially. For patients with frequent visits, this is sometimes an issue. User friendly, organized and reliable. Comments: I really appreciate working with our companies account manager, The support staff is very responsive and helpful in making sure our questions/ issues are resolved quickly and effectively. Cons: The only thing I have to say is a con would be the glitches that happen. They are not common and are easy to be resolved. Nothing crazy- everything glitches at some point! 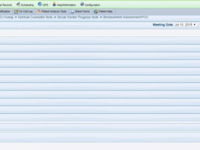 Comments: HospiceSoft is one of the easiest software's to use on the market specifically for Hospice Facilities. I have found that the billing is super easy and very self-explanatory as well as posting payments. Our Nurses love the "ease" of the paperwork as well and how HospiceSoft makes it so convenient for them to complete their paperwork and also in a timely manner. The dashboard I find very useful because once you customize it to your liking, it is there for you to point and click.... I really don't have any negative feedback.. Customer service is always on standby and readily available to answer any questions that we have. Pros: I feel the Software is user friendly. I particularly appreciate the quick Feedback option where you can send an email with questions. Optima staff respond most often on the same day with a phone call. They are always willing to go the extra mile to make sure our questions are answered and understood. I appreciate they take the time to work with us on a one to one basis if necessary to solve any issues or concerns we may have. Cons: At times I wish it could be more simplified. There seems to be repetitive layers that can be cumbersome to get through. Pros: I like how this product has very good notes for some of the disciplines like nursing. It is also pretty simple to grasp and also has many good features such as pre-population of notes that helps us see how the patients are changing over time. The process of adding notes is also simple. Cons: I did find that for compliance to certain Joint Commission and Chap standards, I had to do some manual changes to the documentation that hospicesoft offers. I have certain clauses that I always add to notes and features that surveyors have asked me about. Surveyors have also pointed out how convoluted the IDT documentation can be. While it certainly has all the information, it can be quite difficult to find each piece of information. Recommendations to other buyers: Definitely do a demo and be prepared to recognize that many softwares will not be fully compliant to the standards of accreditation groups and you yourself must be familiar with those policies and make sure you are being compliant even if the software does not offer an area for that. Comments: This is a user friendly program, I have gotten great costumer service. It is nice to be dealing with the same people for several years. Pros: I like that the program is colorful, it makes it easier to find things. The tabs are organized like a paper chart. Hospice is complex enough that we don't need a hard to use program. Cons: Lots of steps to flip a patient to admitted. Pros: The ease of its use. The availability of staff yo assist with problems. The team is personable and good at explaining the systems use. Cons: Cannot update care plan unless you are in a nurses note. Comments: Have been very pleased with our Choice to join since last September. Pros: That it remains compliant with COPs and our accreditation of ACHC. They are continuously rolling out with updates and software improvements. Cons: On tablets the screen appears small and hard to read. And that's on an IPAD mini2. Need to offer the training sessions maybe twice a week for new employees coming on. Maybe Tuesday and Thursday. Comments: This is a great product, my staff has caught on quite easily and any new staff seems to have no problem getting things done. My office manager is a much happier person as she can get through payroll in a much faster time than before. Not to mention billing, you guys are awesome. No more looking through those paper charts or begging people to bring in their paperwork to the office at the end of the month, what a Blessing!!!!!! Optima? (Hospicesoft) where were you all this time? Thanks a million. Pros: That it's hospice based and made strictly for hospice. I like the fact that I no longer have to keep up with several pieces of paper for both schedule and time sheets at the same time. Billing made easy!!! Cons: That it's taking me so long to learn all the features. But then again new things are added all the time so I just have to keep up. Comments: Hospice Management Suite has been a great benefit to us. As a small hospice we shopped around for a software that would meet our needs and we found just that in HMS. We really wanted find a software that worked for us and would help us to become more in compliance with the ever changing COP's, yet we were unable to invest huge amounts of time or money to the process. When I came across HMS we knew right away that it could be just what we were looking for to get us away from the old fashioned paper chart, and it was! 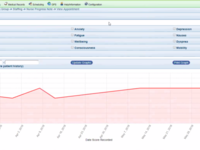 We have found Hospice Management Suite to offer user friendly and precise charting capabilities for our IDG team. We also love the fact that we are able to use various methods within the software to generate pt/staff measures which assist us with our QAPI program. We feel that one of the best features available from HMS is the customer service. They have always been just a phone call or email away to help us out or listen to a suggestion. The people at HMS feel like an extended arm of our hospice team rather than a business located half a country away! Did I mention that it is web based!!! Awesome!!! Best program that I have worked with! Easy to navigate, easy to learn! Pros: The software is very user-friendly. I love that it is for hospice only. I love that it is always up to date with all the Medicare requirements. The customer service is excellent. It is great to be able to talk to someone that knows how to run the program, and also be able to to talk to the programmer! The best thing is seeing a suggestion I made on how to improve the program actually being put into the software! Cons: I really can't think of any. In comparison to the other programs that I have used, these guys are by far the best. Recommendations to other buyers: Find out how people in the field like it, as well as in the office. It takes up to a year to fully understand all the ins and outs of a program. Spend the time setting it up. Put your local doctors, funeral home, pharmacies, and favorite care plans in it. Pros: The support team is great to work with. I love the living plan of care. It ensures our POC stay up to date. Cons: Length of time it takes to document a routine nurse visit. However HospiceSoft is in line with all other EMRs that we have looked at. Recommendations to other buyers: Make sure the vendor has a living Plan of Care that is updated with each nurse visit to capture all changes and offline charting capabilities. Ask if you have to pay for software updates. Comments: We have had nothing except problems from the first LIVE day. Nurses were frustrated with clinical documentation to the point that some of them resigned, admin staff was unable to get reports to balance and had to depend on Optima staff to do monthly reports for us in order for them to balance. Now, after 8 months, our reports still do not balance and they are having to fix errors in posting in order for them to balance. Cons: Everything else. They have a long way to go to bring this software to where it should be but we are getting an update soon that we are hopeful will take care of some of the issues. I have been using this software for 4 months. Comments: Overall I have been very satisfied so far and would highly recommend it to any hospice needing a quality EHR. Pros: The functionality. I like that each section is fairly intuitive and flows smoothly. There are a lot of functions that work seamlessly together which is nice. Cons: It can be confusing figuring out where certain functions are located however software support is usually very helpful in helping us figure out where to find each function. Pros: Well known throughout SNF community. No other positive comments about this software agency at this time. Thanks for your feedback. From the review we believe you¿re referencing the Home Health product we¿re no longer supporting. We¿re sorry that you had such a negative experience and hope that you have the opportunity to experience our other software offerings in the future with a more positive experience. We¿re committed to providing an excellent customer experience to all our users. Pros: The product is easy to learn and makes tracking patient progress easy (e.g., decline, symptoms). The vendor is supportive, friendly, and available. Cons: I haven't found anything that I do not like yet. If I had to find the least likable factor, I'd say that sometimes I get confused about why one piece of information/report should include information from entire chart, but then I find that it only pulls information from a portion of the chart (e.g., the Doctor's Order lists some medications, but not all the medications the patient is currently taking). Recommendations to other buyers: Ensure that Medicare and Medicaid regulations are updated and incorporated into the software for best practices. Pros: The software is user-friendly and easy to navigate through. The schedule, orders, and plan of care - really, all components of the software - have been easy to work with. The vendor is prompt to assist when need. They are friendly, concerned with my needs, and willing to help. Cons: I would not say I don't like it, but I am having difficulty with Bereavement. I really think it is because I am not using it enough. Small census. Recommendations to other buyers: I have used two other software systems before coming to HospiceSoft, and there is no comparing the others. Hospice can be difficult, and when your software is also difficult, it can make for a hard day. We are very pleased with the current software. Comments: Training modules should be available. Some of the processes could be made smoother, especially admissions and discharges. Pros: Integration of care plan issues and assessment. IDG process is helpful and easy for everyone to follow. Cons: The on-line help (knowledge) section is not useful at all. System is not able to be configured or personalized as much as we were led to believe. Once you have the hang of it, it is easy, but it takes most people a while to get used to the layout. Pros: The color coded tabs are very useful when describing steps to take to employees out in the field how to get to certain notes, etc. Cons: The system often pauses and is slow at times, which can be frustrating to employees out in the field while they are trying to enter their notes. Cons: Takes too long to chart Nurse visits. Very simple software. System is very user friendly, all information is clearly identifiable. Pros: That is is user friendly and easy to understand how to use the system. Everything on the system is easy to find and use. Comments: The support team and trainers are awesome! Pros: Very easy to access and navigate, the trainers rock! I have used others in the past and this is by far my favorite! Cons: I haven't found much I don't like, but we are just really getting started in the training with the staff. Pros: It is user-friendly and very easy to move around in. The vendor is very helpful in resolving any issue you might incur and give you instruction right then and there. Cons: Social Worker's financial info doesn't carry over to the Comprehensive. Recommendations to other buyers: Make sure your software is web-based so you can access it from anywhere and that it is user friendly like HospiceSoft . Do not use iPads with the software; they don't work really well. Pros: It is very user-friendly. The rates are good, too. The representative who gave us training was really helpful. Cons: They don't have costumer support over the phone. everything has to be by e-mail, which is kind of hard for simple questions/verifications. Recommendations to other buyers: Play with the software. Try to join their webinars as much as possible. Comments: We have used this software for the past year. You will not find an easier to use, find what you need when you need it, software. Customer support is excellent with quick responses to problems. The only issue we have is the notes are very comprehensive and do take some time to complete, but they force the staff to document well. So far, after three months of use, Optima has made my work-life balance more balanced! Pros: Customer service is great! I love that I have more time to put towards seeing patients and their family members as this program is fairly simple and efficient. 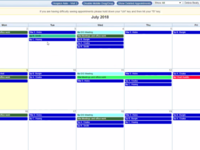 Cons: A few changes to note input from the schedule page would be ideal in regards to social worker entries to improve ease of use and work hour accuracy.